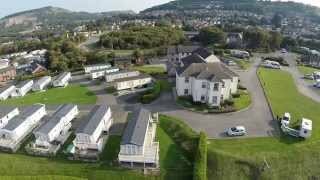 Bron-Y-Wendon is right by the sea between Abergele and Colwyn Bay on the beautiful North Wales coast. This is a quiet park which, by its own admission, is not really geared up for the family unit – although there is a playground. The park is maintained to the highest standards and caters for a large number of seasonal caravans on pitches with gravel bases which are kept very tidy. There are a further 65 grass based, and 85 hardstanding touring pitches, all with 16A electricity and tarmac access roads, 75 also with water and waste water. 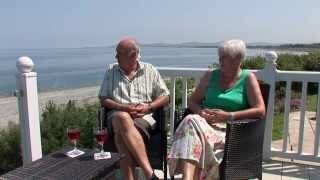 All pitches have coastal views and the sea and beach are just a short walk away. Trailer tents are accepted, but not other tents. The park is on the Welsh Coastal walking and cycle paths. Further afield, Colwyn Bay, Conwy, Anglesey, Llandudno, Snowdonia and Chester are all within easy reach, so there is lots to do. Having said how peaceful and quiet everything is (particularly for a seaside park in this area), there is some road noise from the adjacent A55 and from trains passing in the daytime on the tracks between the park and the sea, which are both just a few yards away. Two main toilet blocks, both with heating, provide excellent facilities including three shower blocks, separate from the toilets and washbasins. Third smaller, but roomier, shower block with underfloor heating. Good facilities for disabled visitors. Laundry with washing machines and dryers. Gas supplies. WiFi (charged). Access to coastal cycle paths. From A55 Chester-Conwy road turn at Llanddulas interchange (A547), exit 23. Turn right opposite Shell garage and park is 400 yds, signed on coast side of the road.